The blog is a critical appraisal of a randomized controlled trial (RCT) exploring the use of Nintendo Wii FitTM in the rehabilitation of outpatients following total knee replacement. 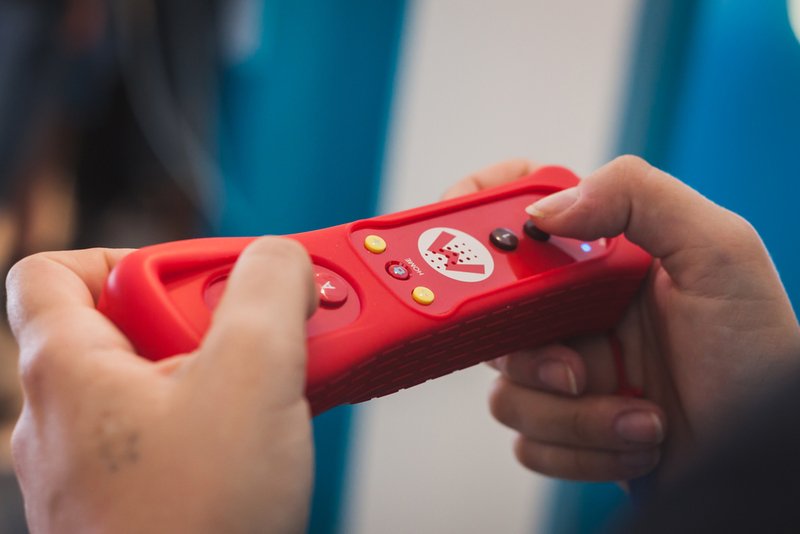 The evolution of video games has sparked an interest in their use in rehabilitation. One particularly promising console is the Nintendo WiiTM and the Wii FitTM which includes a balance board that interprets weight distribution to provide feedback (Fung et al 2012). Its use can be interesting and fun (Deutsch et al 2008) compared to conventional exercises. The quantity of literature describing the use of the WiiTM in rehabilitation is increasing but is lacking in orthopaedics. The increased need for Total Knee replacement (TKR) rehabilitation is a growing area due to an increase in elective TKR. This RCT looks at using the Wii FitTM in rehabilitation of TKR. The study was a preliminary randomized control trial (RCT) to determine if using the Nintendo Wii FitTM would be beneficial as part of the rehabilitation of strength, movement and function following a TKR. Fifty participants participated and completed the study. Patients were randomized into an intervention group or a control group. First, each group had a 60-minute physiotherapy session in separate treatment areas. This included active and passive knee stretching, lower limb strengthening and balance exercises with sequencing and repetitions differing between clinicians. Following this, each group had a 15-minute additional intervention. The intervention group played Wii FitTM games requiring posture and balance control. Each participant began with ‘deep breathing’ and ‘Ski Slalom’ games and progressed to other games when scoring plateaued. Games involved lateral weight shifting, multidirectional balance and postural control. The control group participated in lower limb exercises for balance, posture, weight shifting and strength which were progressed accordingly. Each patient was assessed on the first visit and every 2 weeks until discharge. Patients were assessed on range of motion of the knee, 2-minute walks, pain, lower limb functional, balance, and length of rehabilitation. 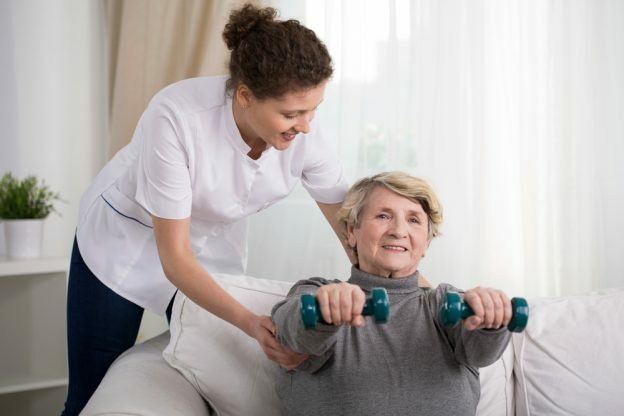 At discharge, the study found no significant differences between the groups in terms of range of motion, lower limb function, balance and patient satisfaction. It is unclear whether there was truly no difference as the study may have lacked statistical power to detect a difference. The Wii FitTM could potentially be used as part of rehabilitation of TKR, but more research is needed. The RCT had a clear scope, focusing on TKR rehabilitation using the Wii FitTM. The study received ethical approval and was hospital funded, and the authors stated that there were no conflicts of interest. The sample size of the study was quite small with 50 participants. Another study with a larger sample size would be required to ensure adequate statistical power (Nayak 2010). However, the authors do state that this is a preliminary RCT and acknowledge that further research is required. The study originally targeted 60 participants but after recruiting 50 participants the model of care offered was changed and so the recruitment ceased at 50. This change may have affected the results of the study. Overall, 33 females participated in the study compared to only 17 males. The greater female to male ratio could affect the results, although this ratio is representative of the population targeted in the study. This study was a RCT which is viewed as the gold standard study design in healthcare research. RCTs can eliminate bias at all stages of the study (Hicks 2009). One way to minimise bias is to randomly allocate participants to intervention groups. This was done using the randomisation function of Microsoft Excel 2003. After randomisation, the control and intervention group were comparable at baseline. Another way that bias was minimised was by blinding the assessor to the participants’ group allocation. However, it is not mentioned whether clinicians were blinded in the 60-minute session, and this may lead to bias. Also, it is unclear whether there was a standard set of exercises clinicians could choose from, and the repetitions and sequencing differed between clinicians which could also affect the outcome. Since there were multiple clinicians the skill level of the clinicians could also be a biasing factor. Many outcome measures were used to track the progress of participants. The study included information about the validity and reliability of these measures, which were adequate. Additionally, each participant was accounted for at the end of the study. The WiiTM is commercially available around the world and due to members of the control group potentially having access to them, this makes it difficult to ensure the effects of the Wii FitTM were absent from the participants of the control group. This accessibility could also have the affected the results of any follow up studies. This was a preliminary RCT. The exercises, repetitions and sequencing undertaken by the participants should ideally have been standardised. The generalisability of the study could also be improved by having a more balanced female to male ratio of participants. In addition to highlighting the need for well-powered studies, this preliminary RCT also opens up more research questions. For example: would a Wii FitTM be cost effective and time saving for health services? And could it be used and well-tolerated as a home therapy tool? CASP., 2013. CASP Randomised Controlled Trial Checklist [online]. [Viewed 19 December 2016]. Available from: http://media.wix.com/ugd/dded87_40b9ff0bf53840478331915a8ed8b2fb.pdf. Deutsch, J.E., Borbely, M., Filler, J., Huhn, K. and Guarrera-Bowlby, P., 2008. Use of a low-cost, commercially available gaming console (Wii) for rehabilitation of an adolescent with cerebral palsy. Physical Therapy [online]. October, vol. 88, no. 10, pp. 1196–1207 [viewed 19 December 2016]. Available from https://academic.oup.com. Fung, V., Ho, A., Shaffer, J., Chung, E. and Gomez, M., 2012. Use of Nintendo Wii FitTM in the rehabilitation of outpatients following total knee replacement: a preliminary randomised controlled trial. Physiotherapy [online]. September, vol. 98, no. 3, pp183-188 [viewed 20 November 2016]. Available from http://www.physiotherapyjournal.com. Hicks, C., 2009. Research Method for Clinical Physiotherapists: Applied Project and Design and Analysis [online]. 5th ed. London: Elsevier. [viewed 21 December 2016]. Available from: https://www.dawsonera.com/abstract/9780702041884. Nayak, B.K., 2010. Understanding the relevance of sample size calculation. Indian Journal of Ophthalmology [online]. November, vol. 58, no. 6, pp. 469–470 [viewed 5 January 2017]. Available from http://www.ijo.in.